If you have a question, email us: teki@mwpersons.com Put "Broadcast" in the subject line. 1 Harris 120 VAC Power Cable for a Harris MS-15 or MX-15 FM Exciter. Comes with a 120 VAC grounded plug on one end and a 12-pin plug on the other end to go to an exciter. We build these new to factory specifications. $38.00. 1 Harris 992-6842-004 Pre-Amp Module with regulator circuit board. 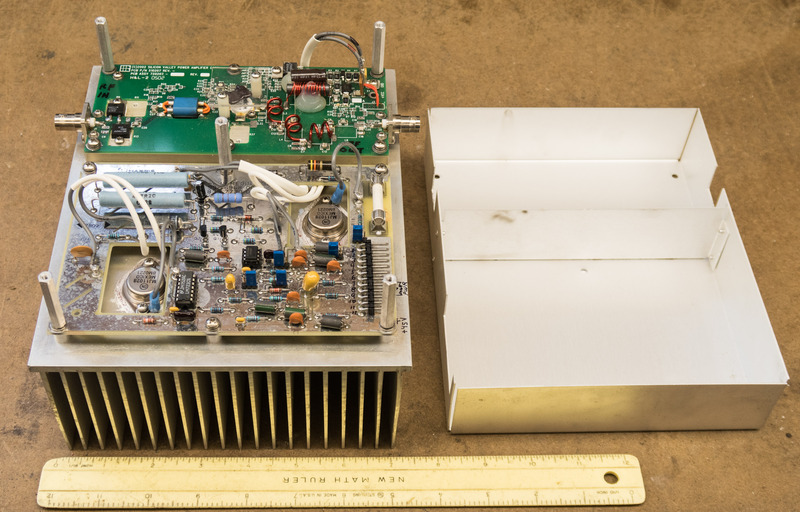 Has Silicon Valley 510207 RF amplifier that runs at up to 80 watts output, which is what the Harris transmitter design calls for. Used and in very good working condition. $450.00 each. Photo The module can be reworked here to run up to 150 watts output with a new Broadcast Concepts pallet amplifier. The unit is used in Harris FM25K1, FM20/25K2, HT20/25FM, FM30/35K, and HT30/35FM series transmitters. 1 Broadcast Electronics 381-0001 Motor with gear head assembly used in many BE transmitters for raising and lowering power. It is a Pittman GM9413E921 bi-directional motor. Has a 426:1 ratio gear reduction for 9.1 revolutions per minute with 300 oz/in. torque. Runs on 12 VDC at 135 m.a. This unit was replaced when it was thought the motor did not work. Later it was determined that the motor was fine and not the cause of a transmitter malfunction. Used and in very good working condition. $100.00. 9 Harris 494-0004-000, Ohmite Z-50. 7 uhy/1 amp RF choke. 35 to 110 MHz. 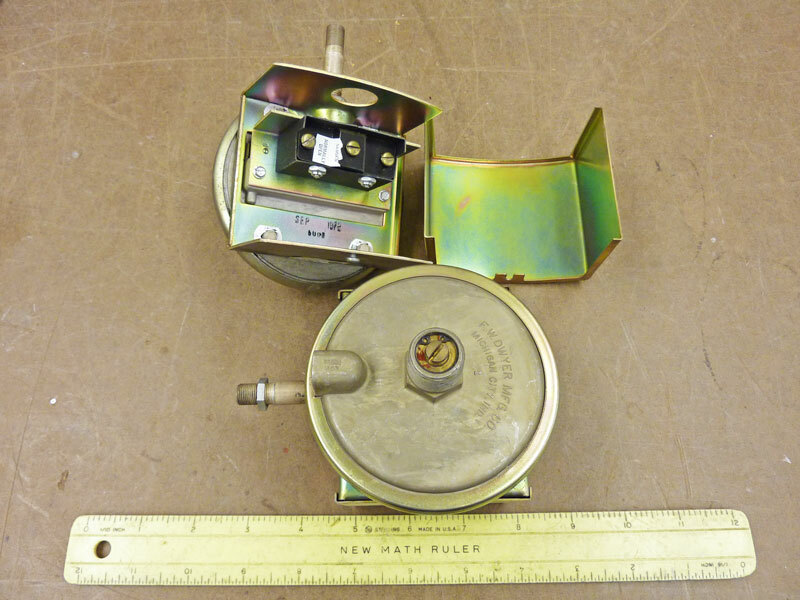 Often found in Harris FM transmitters as the PA grid choke (L4 in the FM-20K transmitter). Gates/Harris/Gates Air part number 494-0004-000. $12.00 each. 4 RCA 210340 Feed-Thru Bushing, Ceramic (ceramic feed-through insulator). Goes in 3/4" diameter hole. Center hold can accommodate a #10 bolt. Also known as NS5W4104 CAS and NS5W4204 CAS. New, unused in original RCA factory box. (also in AM transmitter section) $30.00 each. If you want to place an order or have a question, please email us: teki@mwpersons.com Put "Broadcast" in the subject line.